Apple is "committed to Ireland," whatever might happen in an European Commission investigation into Irish tax deals, the company's VP of European operations said to a European Parliament panel on Tuesday. "We feel that we've paid every cent of tax that is due in Ireland," argued Cathy Kearney, according to Bloomberg. "We don't feel that there has been state aid involved and I suppose we look forward to that outcome happening at the end of the day and being vindicated in that way. I would say that the Irish government also agrees with that view." The commission is examining whether Ireland extended preferential tax treatment to Apple, which would constitute illegal state aid under European Union regulations. While EU countries are allowed to offer tax breaks, they must do so equally in the interests of competition. 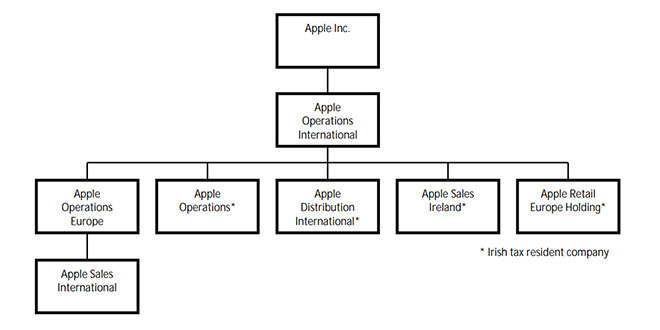 Apple's European operations are centered in Ireland, where the company also manufactures iMacs, and funnels much of its international revenue in order to minimize its tax obligations. A datacenter should eventually be constructed in Galway County, assuming it passes environmental scrutiny. The company was originally reported to be facing the European Parliament on Wednesday. Other multinational corporations —namely Google, IKEA, and McDonald's — also appeared at a Tuesday hearing to defend their tax arrangements.